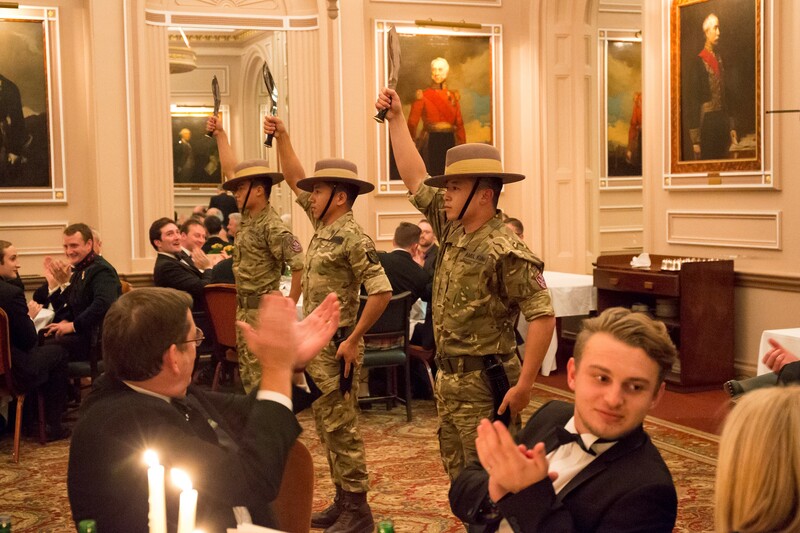 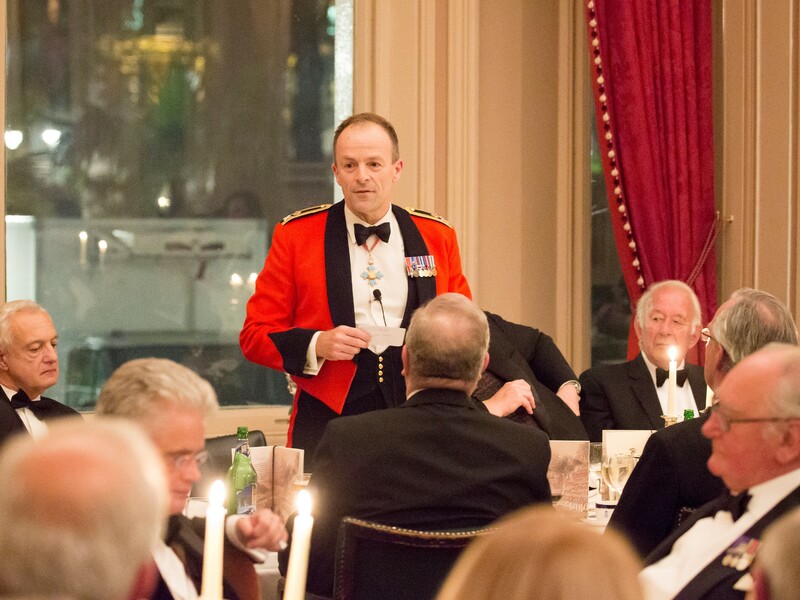 On Monday 16 November the East India Club held a Gala Gurkha 200 dinner attended by members of the RGR officers Mess, the Colonel Commandant of the Brigade of Gurkhas and Colonel RGR. 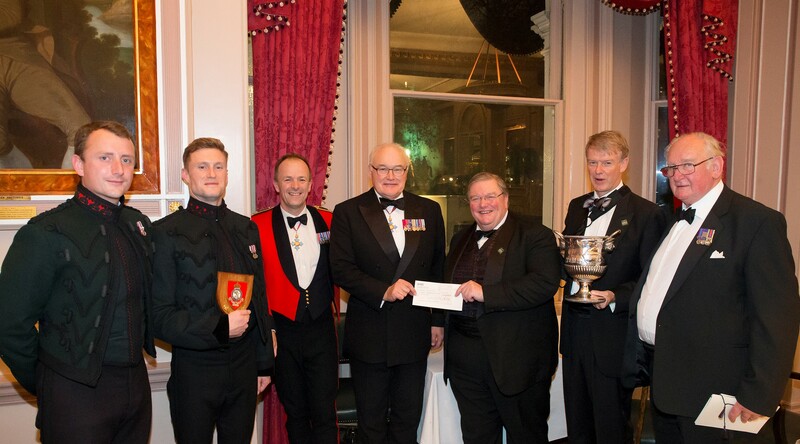 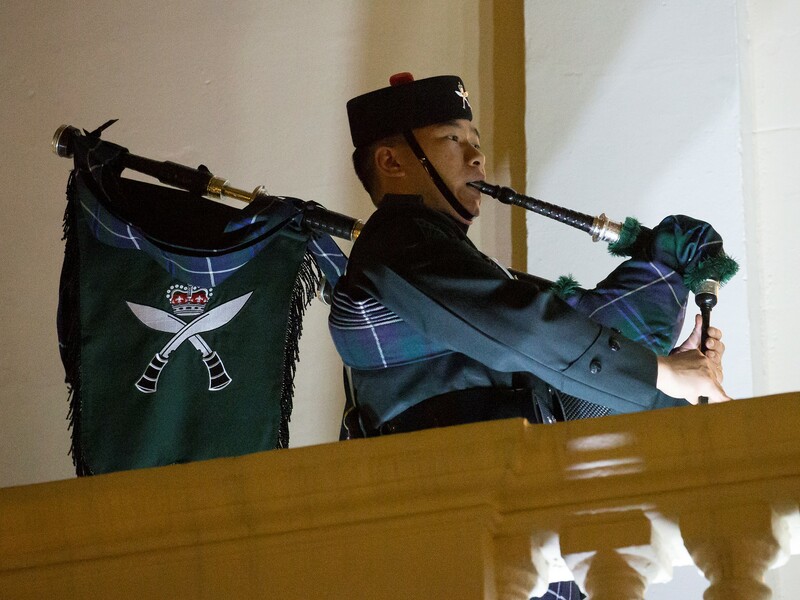 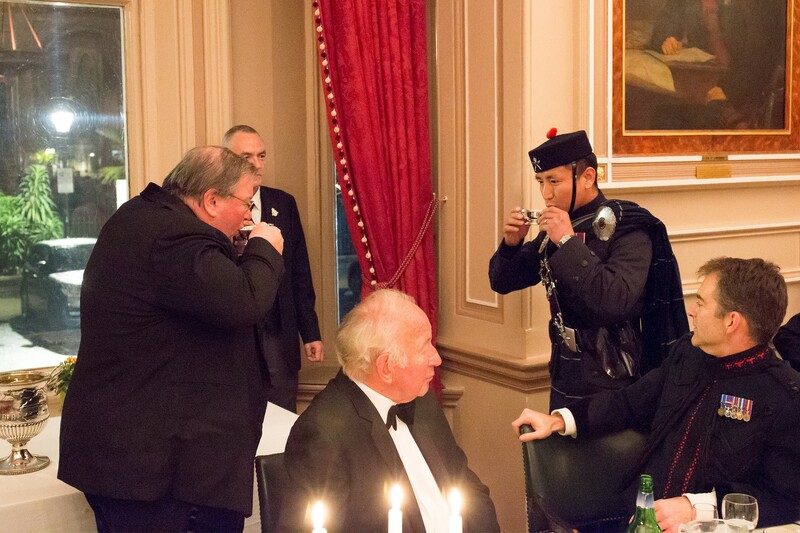 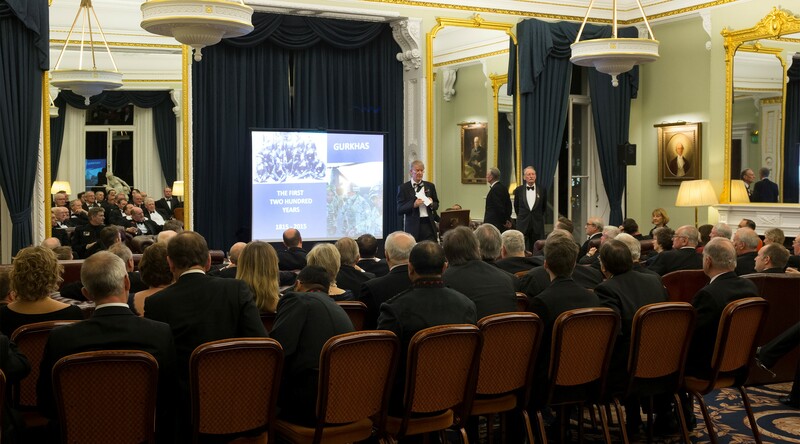 Perhaps surprisingly this was the first occasion upon which the close historical link between the Brigade of Gurkhas and the East India Club in its contemporary form has been recognised. 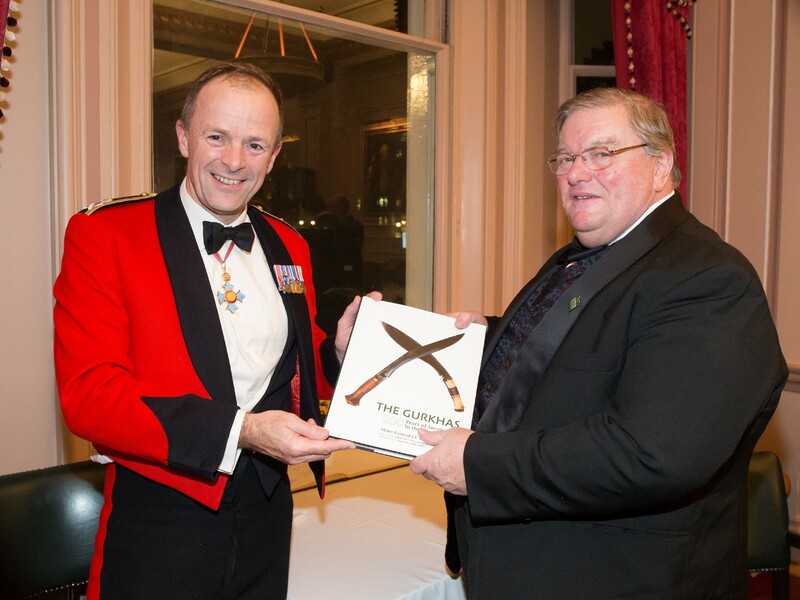 The event was a great success, raising funds for the Gurkha Welfare Trust and opening a new relationship with an important establishment body. 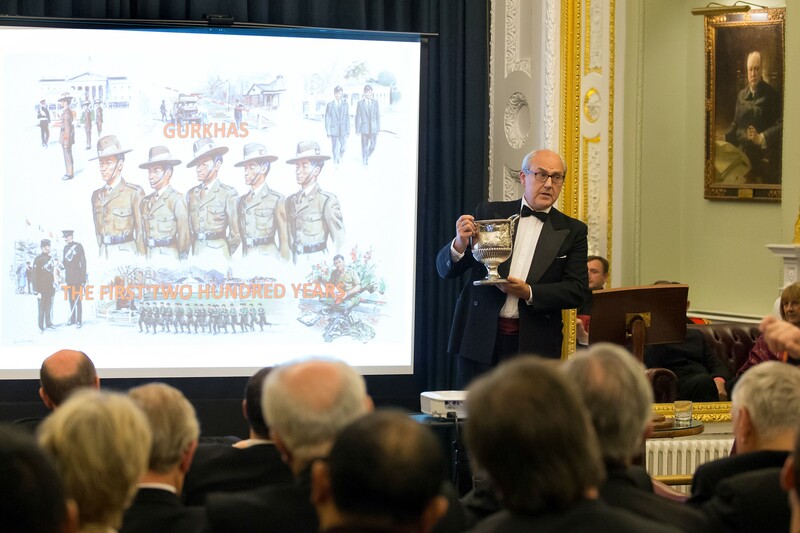 Director of the Gurkha Museum, Gavin Edgerly-Harris, showing the Makwanpur wine cooler, an item which connects the forbears, and by proxy the serving Brigade of Gurkhas, with the East India Company.